By Peter Anderson 6 Comments - The content of this website often contains affiliate links and I may be compensated if you buy through those links (at no cost to you!). Learn more about how we make money. Last edited August 5, 2012 . When you're in the process of buying a home, looking for a new car or trying to get a credit card, one of the first things the banks or credit card companies will do is check your credit score and pull a copy of your credit report. They want to see how well you handle borrowing money, and whether or not you're going to be worthy of receiving a new line of credit. If your credit history is bad enough you may be denied a loan, or at least be given a higher rate because you've shown yourself unable to handle credit very well. Having our credit checked when we borrow money has become a fact of life these days, and we've all come to expect it as part of the process. But where did the credit bureaus come from, and how long have they been around? Back in the day when a merchant or business was asked to extend a credit line to an individual, all the merchant had to go on was their personal knowledge of that person, and whether or not they might be a good credit risk. As you might imagine that doesn't always work out well if someone is new to town, has no history with local merchants, or the merchant just doesn't know them. As a solution to this problem as far back as the 1860s local merchants began to maintain lists of individuals who were poor credit risks, and then would share the lists with other merchants. 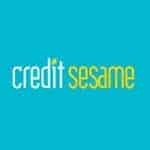 In essence they became the first credit bureaus. By sharing information about people who were poor credit risks, they lessened their own risk and were able to offer more credit to more people. Populations in the U.S and elsewhere began to move more freely about the country with the advent of mass transit via train and automobile, and as a result more merchants across the country needed to have information about a wider range of individuals (especially those from outside their local area). Larger regional and national credit bureaus as we know them today began to start cropping up. As the numbers of people seeking credit grew, so did the amount of data about those people – and the need to have consolidated sources of credit information for financial companies to access. NOTE: In the U.S. there are around 2 billion data points entered every month into credit records, and there are around 1 billion credit cards actively being used. There have been quite a few bigger national and smaller local and regional credit unions on the scene over the past century and a half, but most lenders and financial institutions now use one of the main “big three” credit bureaus. They include Equifax, TransUnion and Experian. Here's a brief history of the big three. Back in 1899 Equifax was founded under the name of the Retail Credit Company. They quickly grew over the years to the point where they had offices all over the United States in the 1920s. By the time the 1960s arrived RCC had credit information and files on millions of Americans and would share it with just about anyone. When the Fair Credit Reporting Act was passed in 1970 credit bureaus had limits placed on what information they could share, and with who. Up until that point it had been a bit of the wild wild west and regulators knew there had to be laws in place to govern the credit industry, as well as to protect consumers. Retail Credit Company suffered some bad PR around this time, and by 1975 they had re-branded as Equifax. TransUnion was founded in 1968 to be the holding company of Union Tank Car, a rail transportation equipment company. TransUnion became a part of the credit reporting industry in 1969 when they acquired some regional and major city credit bureaus. They've continued to grow over the years and now have over 250 offices in 24 countries including the U.S.
Experian is the new kid on the block when it comes to the Big Three. They were founded across the pond in England in 1980 as CCN Systems. They only came to the U.S. in 1996 when they bought a company called TRW Information Services. They've continued expanding their credit reporting operations to grow to the point where they now have a presence in 36 countries. In the early days of credit bureaus local merchants were sharing information about local residents who might be bad credit risks, and it didn't consist of much more than a list of people who hadn't paid off their debts. Today credit bureaus process billions of points of data every month and monitor activity on at least a billion credit cards in the United States. Based on the myriad of data they collect they make decisions about the credit-worthiness of individuals and assign them credit scores. Consumers can also access their credit reports online these days and make disputes about the accuracy of the data held there. In the past it would have been much more difficult. Thanks to the Fair Credit Reporting act consumers can go to the government's website at AnnualCreditReport.com and check their credit report from each of the big three. Not only that, but there are ways to get a look at your credit score via free or paid services, so it's easier than ever to determine how good, or bad, your credit situation is. Much easier than it would have been back in the early days of credit bureaus. We all know that credit scores are important for a variety of reasons, but do you know what factors matter into your credit score? Last Edited: 5th August 2012 The content of biblemoneymatters.com is for general information purposes only and does not constitute professional advice. 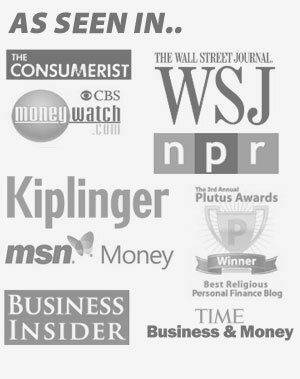 Visitors to biblemoneymatters.com should not act upon the content or information without first seeking appropriate professional advice. In accordance with the latest FTC guidelines, we declare that we have a financial relationship with every company mentioned on this site. Wow, cool that you took the time to look into the history of how the credit bureau’s were formed. Very interesting information! I worked at TRW/Experian as a Sales Director from ’89 to ’00. There as some aspects of the history you noted that perhaps only insiders might know, as this portion of the story gets little press. But the details are very relevant today. The Information Systems Division was spun out of TRW through a leveraged buyout lead by Bain Capital. The Division was then combined with two other Chicago based information marketing companies, and renamed Experian. Eight months after the initial buyout, Experian was sold to Great Universal Stores (GUS) – a U.K. based company that owns mostly retail stores, along with a credit bureau. GUS paid a significant premium for the combined entities, compared to the individual costs for the individual businesses. The ROI on this deal for Bain was astronomical! Of course, Bain was lead at that time by Mitt Romney. He saw the value, and capitalized on the opportunity. There were no layoffs, or outsourcing. Most employees enjoyed a significant increase in new career opportunities. Thanks for the insider information, definitely interesting to hear. Very interesting ~ I never put much thought into where the companies originated from, nor did I know Experian was the new kid on the block. In whole your article is accurate, to this point. You’ve neglected the fact the Credit Reporting Agencies (CRA’s) do not, independently, make any decisions about a consumers credit worthiness. In addition, they do not “assign” credit scores. This is misleading and does a disservice to your readers. The fact is that FICO has been in business since 1956. The Scoring Model they provide on consumers today was launched in 1989. FICO is the gold standard of Risk Modeling for over 90% of lending decisions. In essence, what is being scored is an individuals past financial behaviors and FICO uses that behavior as a predictor of what that consumers future credit worthiness is in the form of a Credit Score. Curiously, few people know what F-I-C-O actually stands for? In 1954 two men, one was a mathematician and the other was an engineer, got together and assigned numerical values to financial behaviors in a proprietary mathematical algorithm. What’s curious is that these two men were named Bill Fair & Earl Isaac. Who then launched their new enterprise as Fair, Isaac and Company, today known as simply FICO, in 1956. The three CRA’s historically paid a royalty to FICO whenever they produced and sold a FICO Score. The CRA’s were and still are subscribers, customers, of FICO. In 2006 the CRA’s, through their trade group the Consumer Data Industry Association (CDIA), collaborated to develop their own scoring model, the VantageScore, to increase profits. It’s scoring model on being launched was 501 – 990. While the FICO General Scoring Model, the most commonly used, has a scoring range of 300 – 850. In 2015 the VantageScore 3.0 was launched due in no small part to the concerns of Consumer Advocates. Who had concerns that the disparity between the two competing models skewed the consumers perception of their overall credit worthiness. The new VantageScore model now mirrors FICO’s 300 – 850. Although their Scoring Model is significantly different from the FICO Model. The point of greatest concern today is that the CRA’s are in business to compete with FICO. The CRA’s insist that they are “gaining market share” while FICO continues to be the dominant model used by the vast majority of Lenders. What your readers need to know is that the national average VantageScore is 673. While the average FICO score is 695. More importantly the CRA’s sell FICO Scores to Lenders. While they in turn sell Consumers their own competing VantageScore. So be watchful as there are also alternate scores in the marketplace that, on reading their terms and conditions, are intended for “educational purposes only” and are never used in actual lending decisions. These are commonly known as FAKO Scores.